The powerful music of rock band Queen remains as relevant and recognizable as ever. 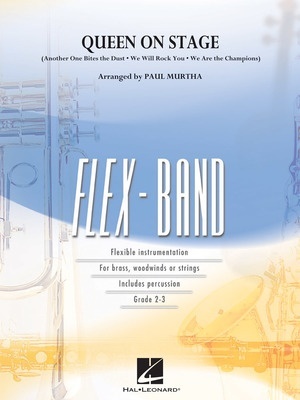 This exciting medley for flexible instrumentation includes the timeless hits <i>We Will Rock You, Another One Bites the Dust</i>, and <i>We Are the Champions</i>. Availability: Product is currently unavailable for order. Please contact the sales team at aussales@halleonard.com.au for more information.